Other than having been one a loooong time ago, I have no experience with babies. And I’m morally certain that even if I didn’t drop it, I would not be able to keep up with what goes in one end and out the other. Of course, nurturing that bouncing baby’s brain is probably the most daunting challenge/thrilling opportunity when it comes to bringing up baby. Intimidating though babies may be, every Self starts out as one. Remember Axiom #1, Self-Awareness: you experience and explain the universe from your own unique perspective. 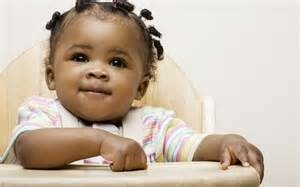 To understand how that unique perspective is formed, you need to be conversant with the fundamental processes that shaped your baby brain into the YOU of today that you know and love. 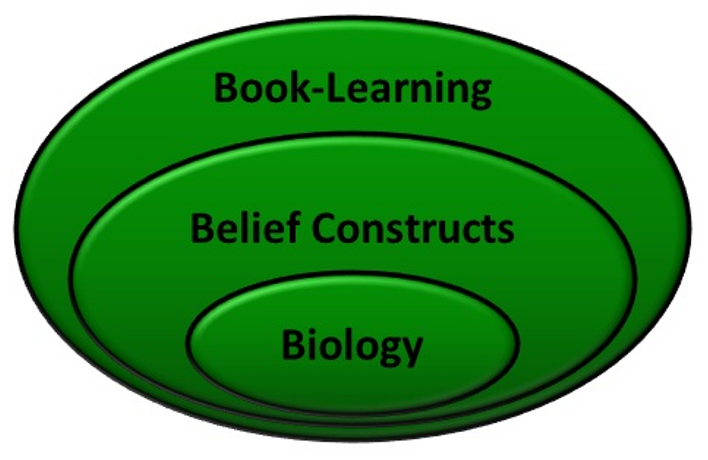 As asserted in an earlier post, my simplistic model for human personality development inevitably starts with biology. Over time and through direct experience, you construct beliefs about how the world works and your place in it. Eventually, the Self matures enough to further develop through indirect experience; that is, by “borrowing” knowledge by interacting with other humans—either live or via other means of communication, including experience captured in books. 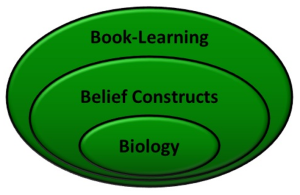 Hence my 3B Model for brain-building: Biology→Beliefs→Book-Learning. Let’s see what this process actually looks like, from the perspectives of neuroscience and psychological research. Your to journey to Selfhood began when the collision of sperm and ova sparked an explosion of developmental activity. His genes plus her genes plus the surrounding environment ultimately delievered You, a unique being, full of potential. And the essence of the real You resides squarely in your brain. That initial brain-building unfolds in an orderly fashion, prescribed by eons of evolution, encoded in the genetic materials (aka genome) contributed by your parents. Indeed, part of what makes You unique is this specific pairing of parental DNA, genes, and chromosomes. But if you have biological siblings, you and they presumably start out with the same parental genetic inputs, and yet still end up with different personalities and physical features. Even the most identical of “identical” twins are unique individuals. How can this be? 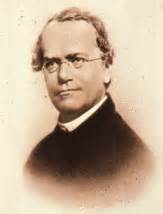 When the monk in the pea patch, Gregor Mendel, laid the groundwork for the science of genetics, he saw the patterns of inheritance as deterministic. The dance steps of development initially seemed totally predictable. Cross pollinate a pea plant that always yields yellow seeds (dominant) with one that always yields green seeds (recessive). The first generation will be all yellow, but you can rely on the second and subsequent generations to produce a 3:1 ratio of yellow to green. Wash, rinse, repeat. The reliability of this cycle formed the initial basis for understanding heritability. Subsequent researchers, starting primarily with Conrad H. Waddington in the 1930s and 1940s, have pushed beyond this simple model to see that nature choreographs an elegant, endless interplay of interactions between genes and their environment. The presence or absence of specific elements in the environment at any point in your life affects how the dance will flow. 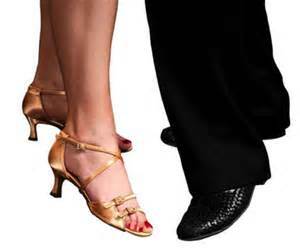 Metaphorically, your genes have specified that you will have two feet, but it’s the ballroom and music surrounding you that determine whether you are doing the tango or the Texas two-step at the moment. Research into this constant conversation between genes and environment is formally called epigenetics. Our growing understanding of epigenetics has finally put to rest the old argument about nature vs. nurture: it’s both/and, not either/or. 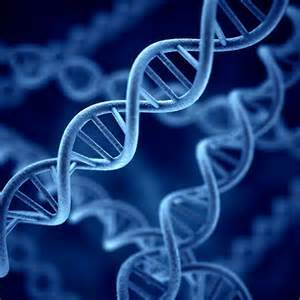 Instead of your DNA functioning as a static blueprint for building the edifice known as You, it dynamically responds to external conditions that turn off or turn on various genes. This happens at any point—at many points, actually—throughout your life. In fact, environmental factors in your parents’ lives before you were born affected which of their genes were active, and that, in turn, affected the genes you inherited. In summary, while you do inherit your genome (i.e., all your combined genetic material), the genome alone does not determine exactly what kind of person you become; however, it does define the range of possible developmental outcomes open to you (Aamodt & Wang, 2011). In the next post, we’ll explore further this tie between anatomy and attitudes, and try to understand how biology blooms into personality. Stay tuned!